Mozilla’s naming conventions have almost started to confuse me as much as Intel and Ubuntu. Looking for the developer builds of Firefox this morning I had the option to get Namoroka which I expected, but also Lorentz which shared the same 3.6.3 version number. I think I have this right, feel free to correct me! As far as I know, Mozilla slipstreams certain new features they’re testing into separate builds before they incorporate them into Firefox. Aside from those new features they’re testing, the rest of the browser is identical, which means they can test real world performance and stability instead of just using them in a beta. I think it’s pretty clever. The point of Lorentz is to test the ability of the browser to gracefully handle plugin crashes without the rest of the browser falling on its electronic feet. When a plugin crashes or otherwise starts spiraling out of control, it is suspended and the user presented with an option to restart just that plugin instead of the entire browser. It looks really cool. I proactively block all Flash with NoScript and the only Java I use is on my internet banking site, so perhaps such new features are fairly redundant for me. Still I’m using it as my primary browser now to check it out. 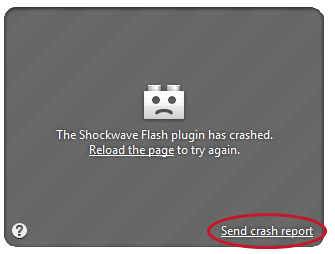 After all, if a malicious user can predictably crash a plugin, its the first step to exploitation. Mozilla has builds you can download for Linux, Mac and ReactOS compatible systems, and as usual Latko has some excellent Intel optimised builds for Mac if you want to check it out. Older post → #Anime K-On! 07: Kurisumasu!